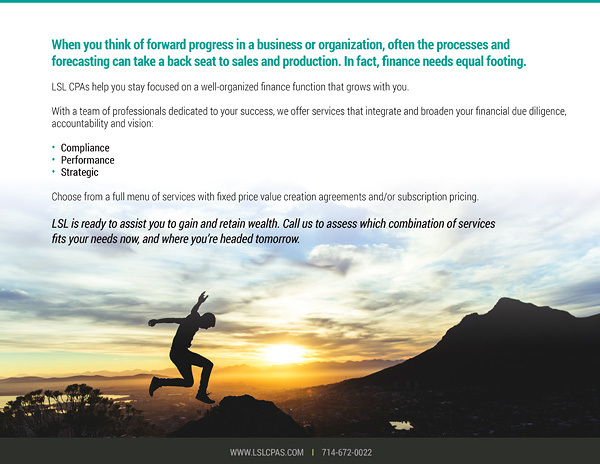 After assisting with the creation and implementation of a new brand and website for LSL CPAs and Advisors, Ingenuity worked with the Orange County CPA firm on its Menu of Services sales piece. 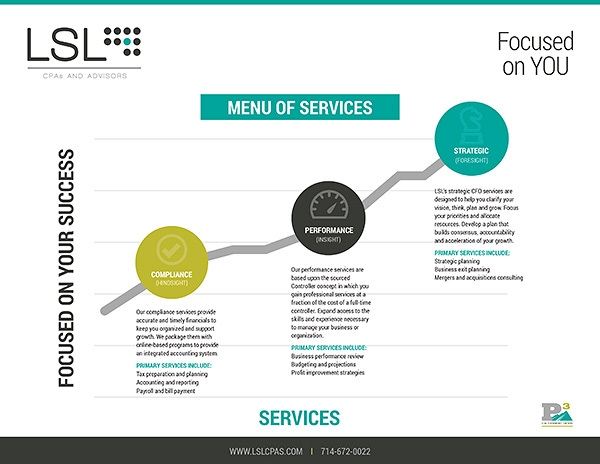 The piece highlights the approach and benefits of choosing LSL with the use of graphics and minimal copy. It’s housed in this folder, also designed by our team.